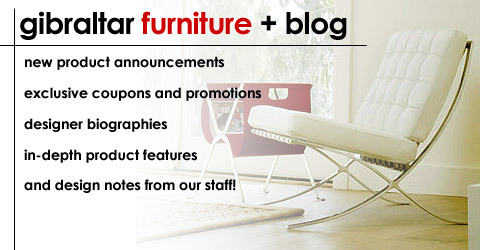 800 416 3635 EAMES CLASSIC FURNITURE AT WHOLESALE PRICES! The Lounge Chair Wood (LCW) (also known as Low Chair Wood or Eames Plywood Lounge Chair) was designed by one of the most influential design teams of the Twentieth Century. This chair is considered a breakthrough in seating technology. The LCW continues to be an icon of Modern Design style. The superb molded ply chair was hailed by Time Magazine as the Best Design of the 20th Century. Along with the Lounge Chair and Ottoman in leather, this may be one of the most recognized pieces in modern design history. Low-slung, with an expertly crafted molded plywood seat and back, this chair is extremely comfortable and built for longevity. The piece was designed using technology for molding plywood that was developed prior to, and during, The Second World War. Previous to the American involvement the designers entered a line of furniture into the Museum of Modern Art’s “Organic Furniture Competition” in 1940. The competition was set up to explore the natural evolution of furniture in response to the rapidly changing world. This entry was chosen as the winner of the competition. However, production of the initially designed chairs was postponed due to production difficulties, and then by the United States entry into WWII. Initially the idea was to find a solution to providing affordable, comfortable furniture that could be easily mass produced. His entries into the Organic Furniture competition were designed to have the seat and backrest joined in a singe ‘shell’. The plywood, however, was prone to cracking when bent into the sharp angles and had to be covered with upholstery. Through extensive trial and error a alternate solution was found: create two separate pieces for the seat and backrest, joined by a plywood lumbar support, with plywood legs. The result was a comfortable chair with a sleek and modern appearance. The seat was joined to the lumbar support and legs with a series of four heavy rubber washers with nuts embedded in them (later these came to be called ‘shock mounts’). The shock mounts were glued to the underside of the seat, and screwed in through the bottom of the chair. The backrest was also attached using shock mounts. The rubber mounts were pliable, allowing the backrest to flex when the chair is occupied.